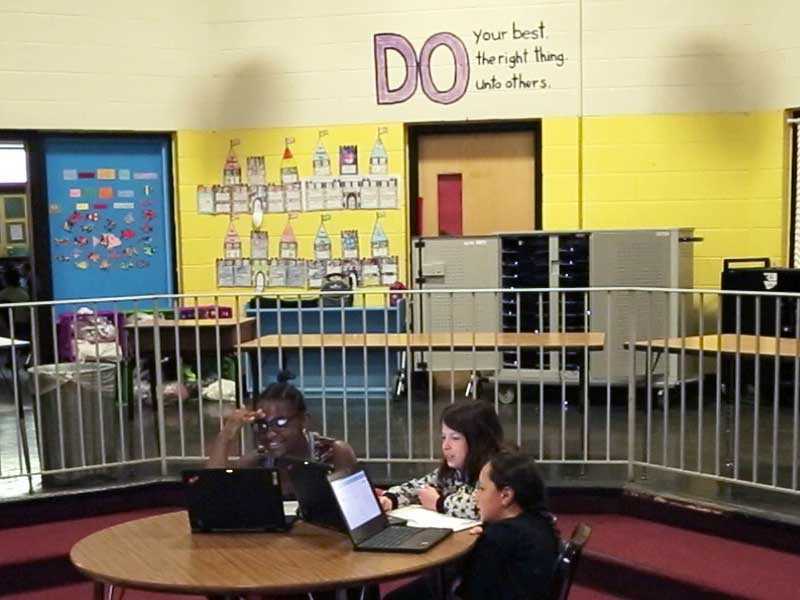 Students at Pleasant View Elementary know they have a lot of options for support when they need it. When a student has trouble learning a particular objective, they know to first look through additional learning resources within their Personalized Learning Plan to see if any might help them. Next, a student is able to work with peers to help overcome any challenges. If the student is still struggling, they are able to request time with the teacher, either through workshops with other students who have a similar need, or through one-on-one support. Checks additional resources within their Personalized Learning Plan to see if any might help them on a challenging topic. Seeks out students who are working on the same objective, or already mastered that objective (tutors), for support. Helps set class expectations about what to do when stuck on a problem or learning objective. Allows students to partner with each other or serve as tutor. Directly supports students when the aforementioned methods prove insufficient. Provides additional learning resources that students can access for help.